As mentioned in the harp post, I’d been putting together a few exhibits for the Positively Petite miniature arts exhibition, held annually at Place des Arts in Coquitlam, and was looking forward to the glass domes to complete the look. 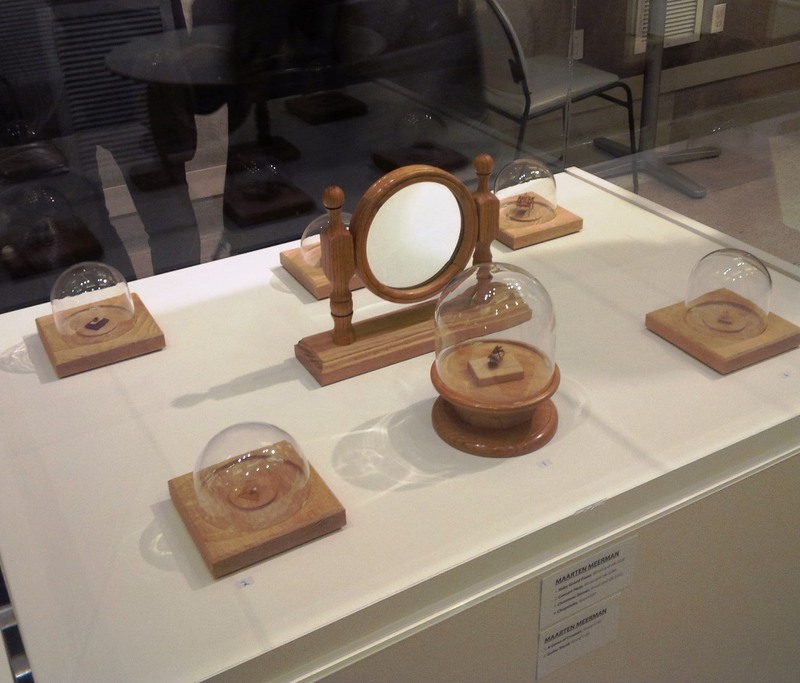 Here are six of the mini exhibits, complete with hand-blown domes made by glass artist Benjamin Kikkert. 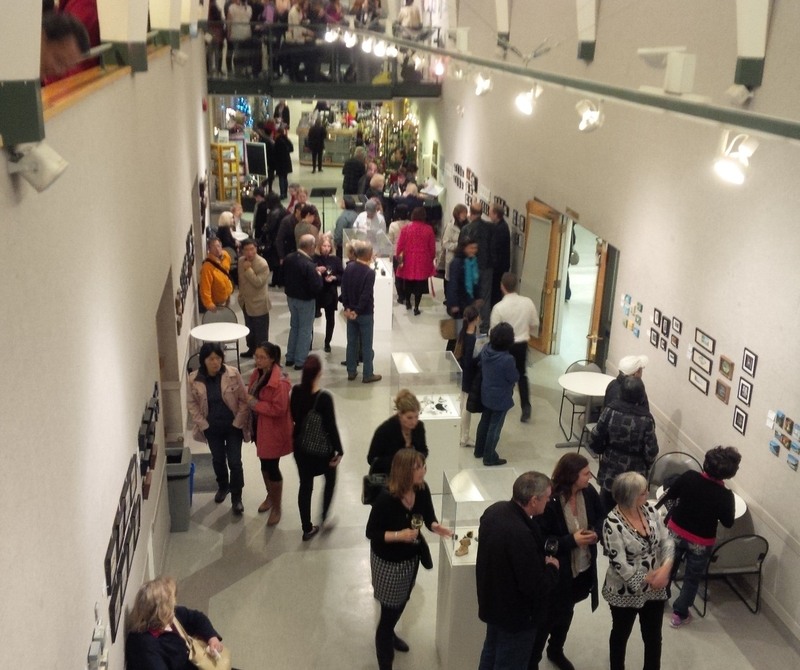 The opening reception attracted a good many people to take in and buy the tiny paintings, embroideries and miniature sculptures, as all items on display have to be for sale. For anyone thinking of taking a peek, there’s even a magnifying glass to help see the details. But you’d better be quick, as sales were brisk right from the start!